There’s nowhere more exhilarating than the great outdoors, and here, in the West Country, we are blessed with some of the UK’s most spectacular landscapes. Helping both young and old experience these much-loved wild places are Pete and Andrea Moore, directors of the South Devon-based company, Forest & Beach (FaB), which as the name would suggest, is very much an outdoors initiative. Mr Toad: What a wonderful part of the West Country, and so lovely to meet you both, Pete and Andrea. Right then, my first question…In a nutshell, what is Forest & Beach? Pete: We’re delighted to see you, Mr Toad, and looking so debonair, as always. 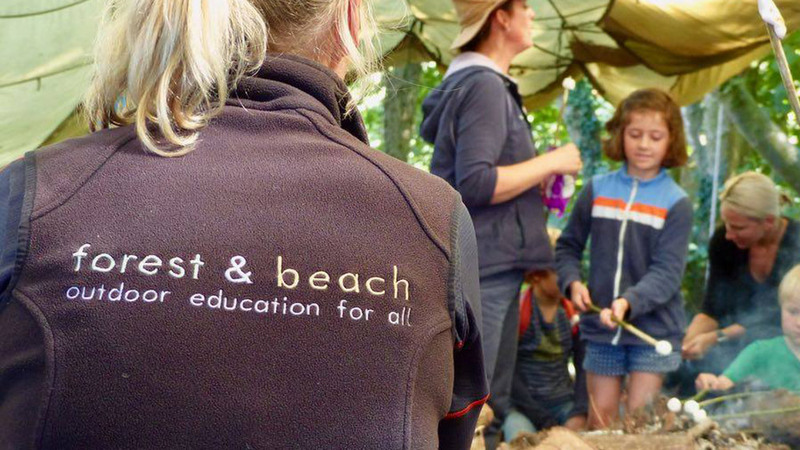 Forest and Beach (FaB), is a company and social enterprise whose aim is to get children and adults outside enjoying our beautiful countryside and coast, reconnecting with nature through the Forest School ethos. 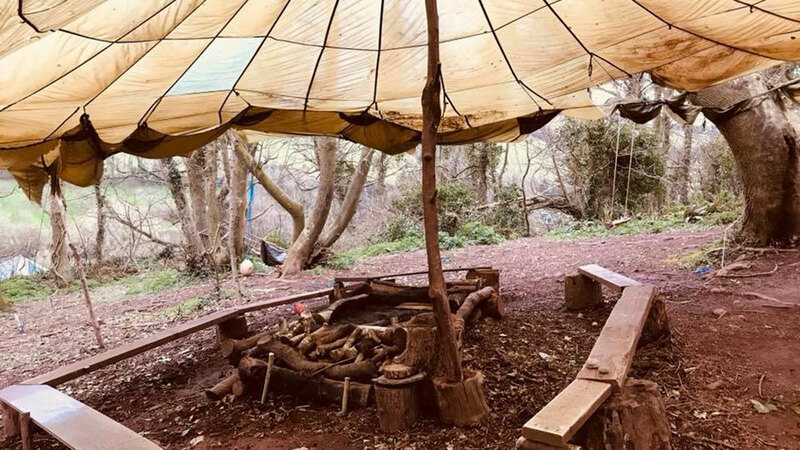 We provide school holiday activities, school residential visits, bring Forest School to local schools, run adult team days and offer venue hire, as well as other consultancy work. Mr Toad: And what kinds of holiday activities do you offer? Andrea: For children in the school holidays, we offer activities on the coast and in the woods. A very popular day is our Forest Day: Children are dropped off to FaB HQ at 0930 and picked up at 1530. After an introduction to everyone, we head down into the woods to our Forest School area where we show the children what activities they can choose to partake in. These include; fire lighting, shelter building, outdoor cooking, mud kitchen, exploring, archery, and more. Play is valued just as much as learning, the children have the woodland to explore before gathering together for hot chocolate, marshmallows and campfire sausages. Other popular days include our Canoe Adventure Day; teaming up with Singing Paddles on the Kingsbridge Estuary, and our Coastal Adventure Day; which includes a visit to Start Point Lighthouse. All days are bookable online through our website. Mr Toad: Where can we find you? 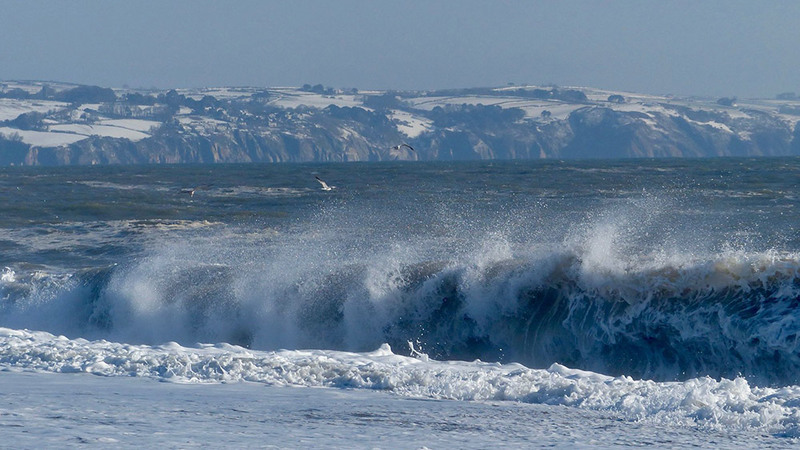 Pete: FaB HQ is above the village of Beeson, half a mile from Beesands beach in Start Bay. Mr Toad: Why is outdoors learning so enriching for children? Andrea: Pete and I have 36 years of primary teaching experience between us and throughout our careers we have seen how engaged children become in an outdoors environment. You never know what children are going to find on a trip outdoors; a hibernating ladybird, a toad under a rock, a seal popping up whilst we are out exploring the beach. These ‘finds’ offer ‘on-the-spot’, enriching opportunities, with more fundamental lessons learned about empathy, life-cycle and bio-diversity. Mr Toad: What other lessons can be learned from being out in the wild? Pete: So much. On a very simple level self-reliance, being dressed for the weather, finding shelter, knowing which direction the wind is coming from. We always start a day by asking the children ‘Who is the first person in charge of your safety?’, our regulars now know they themselves are, with the adults supporting them to take measured risks i.e. climbing a tree or lighting a fire. Mr Toad: So, it’s fair to say that a day in the life of Forest & Beach can be incredibly varied? Andrea: Absolutely! During our school camp season, which runs from May-July, we are up at 0600 hrs and don’t finish work until after a batwalk around 2300hrs. School holidays tend to be more regular, spending the days in the woods or on the coast, while during Autumn we’re working in schools and also preparing for our ever-popular DadFest, which some of your readers might have seen featured on the BBC’s The One Show. Outside of that, we are constantly busy with general maintenance and the development of new areas around our site. Mr Toad: Any memorable encounters with the local wildlife? Pete: The winter and spring of 2017 was a very special time in Start Bay with the visit of a humpback whale. 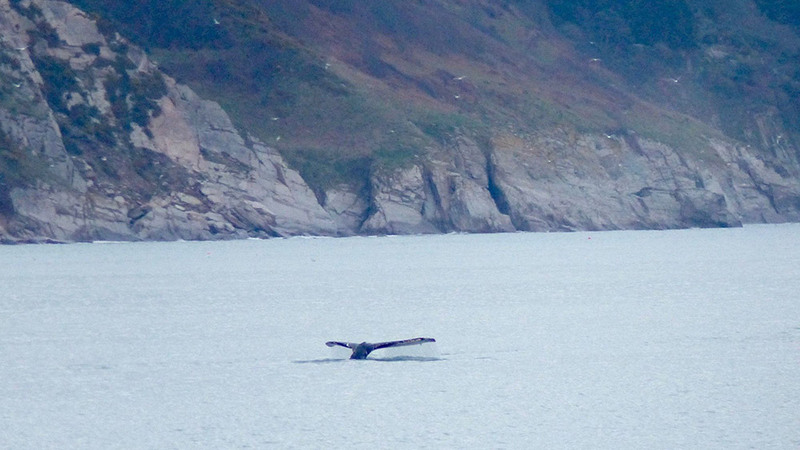 The whale regularly visited Slapton Sands, Torcross and Beesands and could easily be spotted from the shore as it fed. People came from all over the country to whale watch, it was like a scene from Blue Planet with dolphins, porpoises, seals and gannets all accompanying the whale. Social media was abuzz with #startbaywhale trending locally. Mr Toad: How do you encourage children who maybe feeling nervous about getting to know the great outdoors? Andrea: Generally, most children become engaged with the outdoors straightaway, although there are some children who are nervous about things such as stinging nettles or spiders. These are often learnt behaviours, and after a day with us, the children are catching minibeasts, observing them, and then releasing them back into the wild. We find that encouragement and leading by example helps the most nervous of children. Mr Toad: How transformative can nature be? Pete: Incredibly. We have had parents and teachers say to us that their children returned home or back to the classroom calmer, more inquisitive, and itching to get outdoors again. We regularly hear about children who, as a result of spending time with us at FaB, are now keen explorers of their own back garden or their local wild spaces. Parents, too, reignite their passion for the outdoors, building camp fires and having their own FaB-style jamborees and get-togethers! In the grand scheme of things, it is only very recently that humans stopped gathering around fires to share stories and knowledge, an ancient practice now confined to pockets of a modern world. Mr Toad: What do children need to bring along? Andrea: Just clothing for the weather, plus wellies and waterproofs if it’s wet. A packed lunch is required and sausages for the pan (veg or meat) if desired. There is generally a 100% chance of getting muddy! Mr Toad: What’s the biggest lesson you’ve learned so far? Pete: Wow. Big question. As well as learning all the time when working with children outside, when we set up FaB we had to get to grips with things like social media to help spread our message. Making sure we took the opportunity to share our updates, videos, photos and sound bites has enabled us to attract a lot of followers, which we are very thankful for, and consequently, we’re now in touch with thousands of people. Social media has really helped us grow, which is a considerable challenge considering our business is tucked away in the South Hams backcountry. Mr Toad: Have you got any Forest & Beach sayings or mottos? Andrea: Well, we do use the old adage of ‘No such thing as bad weather, just bad clothing’ which always rings true with us. Sometimes people say to us, ‘Oh, the weather hasn’t been great, have things been quiet?’ the answer to which is a resounding ‘No!’. Children don’t mind about the weather, as long as they have shelter available, warmth, are cared for, oh, and are supplied with plenty of hot chocolate of course. During school camps we also say, ‘If you are forgetful, you get fit!’, a little joke we share in the event of one of the children accidentally leaving their sun hat or cereal bowl back in the tent and then scampering back to fetch it. Another one is, ‘There is no rush in the woods’, encouraging children to relax and enjoy their surroundings. Mr Toad: Have you found yourselves becoming more connected with the seasons and the changes they bring? Pete: It’s really important for us to embrace the seasonal changes and make the most of what mother nature brings. Autumn brings the blackberries, apples and chestnuts to roast, winter is all about making fires for warmth and investigating ice, spring sees beautiful bluebells and nature bursting back to life, and summer is great for camping and beach-time. Andrea and I taught in Singapore for a couple of years and loved it, however, we really missed the seasons and appreciate them even more now. Mr Toad: What’s the best way to get in touch with Forest & Beach? Andrea: You can book online for days with us by visiting our website www.forestandbeach.co.uk or email pete@forestandbeach.co.uk or give us a ring on 01548 580744. Mr Toad: And finally, I have to ask, which South Devon woodland or coastal creature best captures the spirit of Forest & Beach? Pete: The creature we really love locally (apart from toads of course) is the grey seal. They are very inquisitive, active then chilled, social and also very independent, and (encouragingly) growing in numbers. Maybe a bit like FaB?